Ruby zoisite is a combination of opaque red ruby and green zoisite in a single specimen. 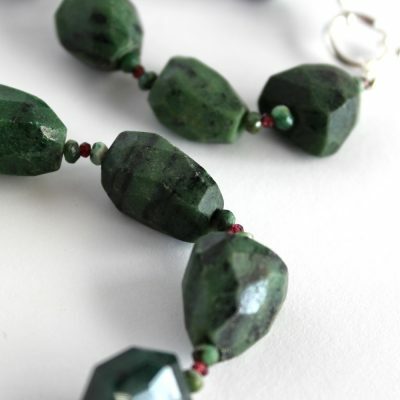 It is also known as ‘anyolite’, a name derived from the Masai word for ‘green’ (anyoli). It can also contain black streaks of black amphibole.